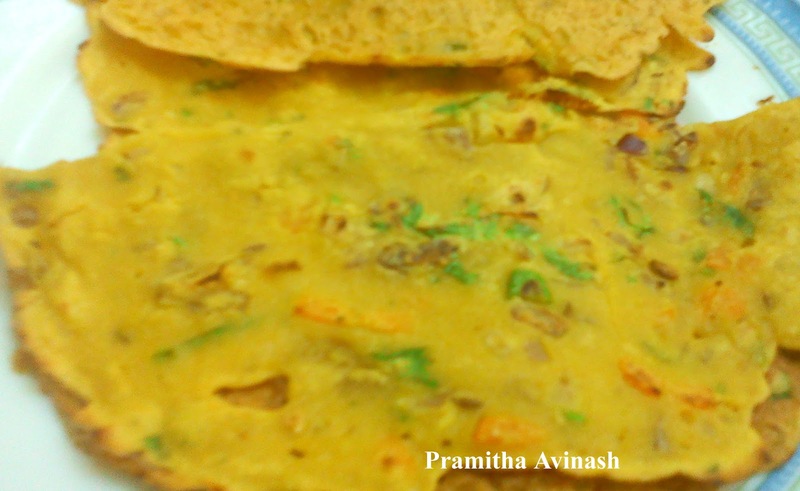 This is a pure vegetarian omlete.So every vegans can have it.You can make this for your breakfast or dinner.It is very very easy to make. 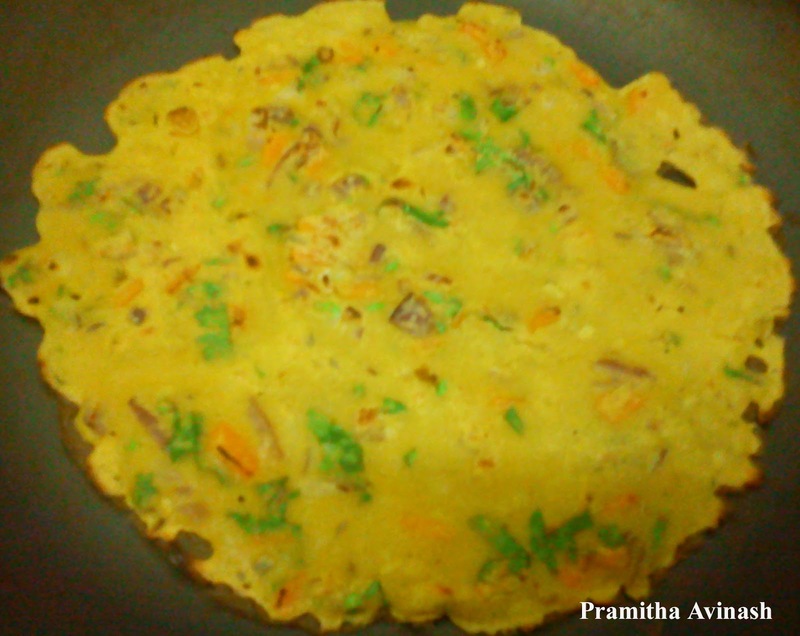 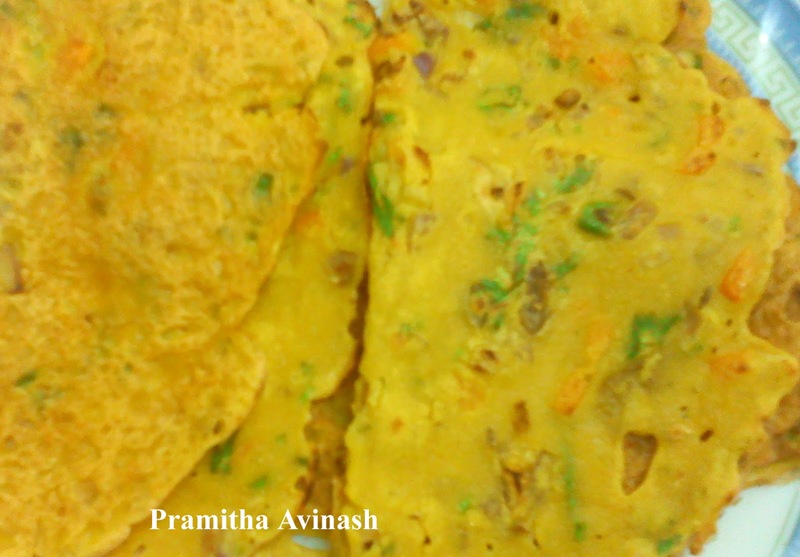 1.Mix ingredients from 1 to 5 together and add water and make a lump free batter.Batter should be thinner than dosa batter. 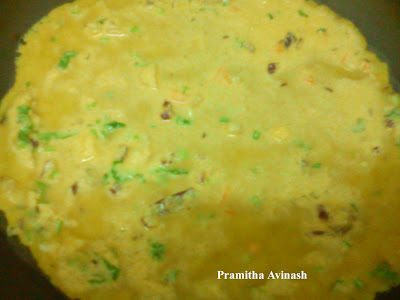 2.Now add the chilli,onion ,carrot ,coriander leaves and salt to the batter and mix thoroughly. 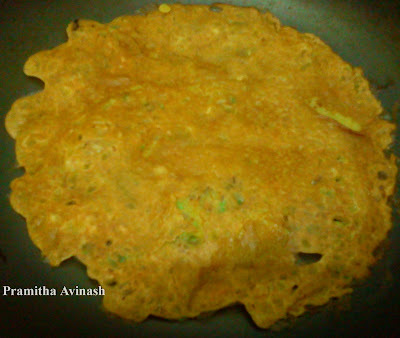 3.Heat a non stick pan,grease the pan with oil and add the batter on to the pan and rotate it so that the batter spreads around the tawa. 4.When one side gets cooked slowly turn it and press one the top of the omlete ,so that it gets cooked well. Serve hot…I usually have this with chilli ketchup. 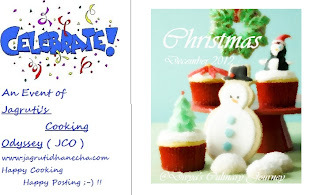 sure...i will join in this event,thnks for inviting..